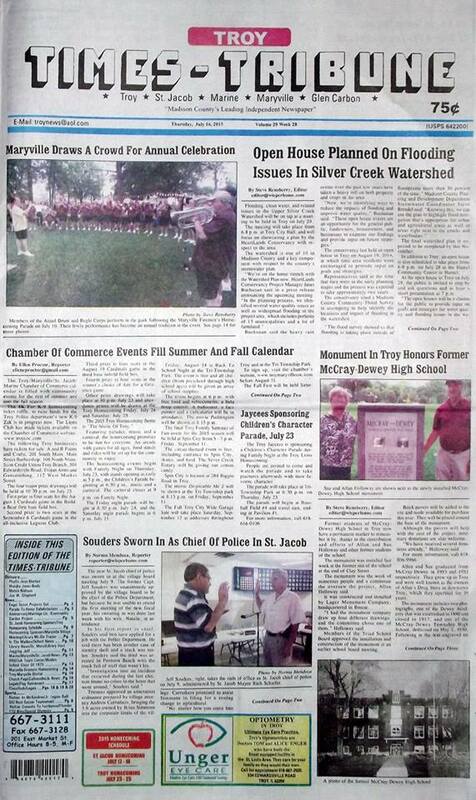 The July 16, 2015 issue of the Troy Times-Tribune is now available. Some of the headlines in this issue: Open House Planned on Flooding Issues in Silver Creek Watershed, Chamber of Commerce Events Fill Summer and Fall Calendar, Monument in Troy Honors Former McCray-Dewey High School, Souders Sworn in as Chief of Police in St. Jacob, Council Receptive to Proposed Community Garden Project, Access Fuss Holds Up Approval of Villas Final Plat by Village, Maryville to Set COBRA Policy, Troy Library Board Adopts 2016 Budget and Appropriations Acts; plus we have police blotters, a full page photo spread of the Maryville Firemen's Homecoming, a column about bike trails in Troy, and lots more! 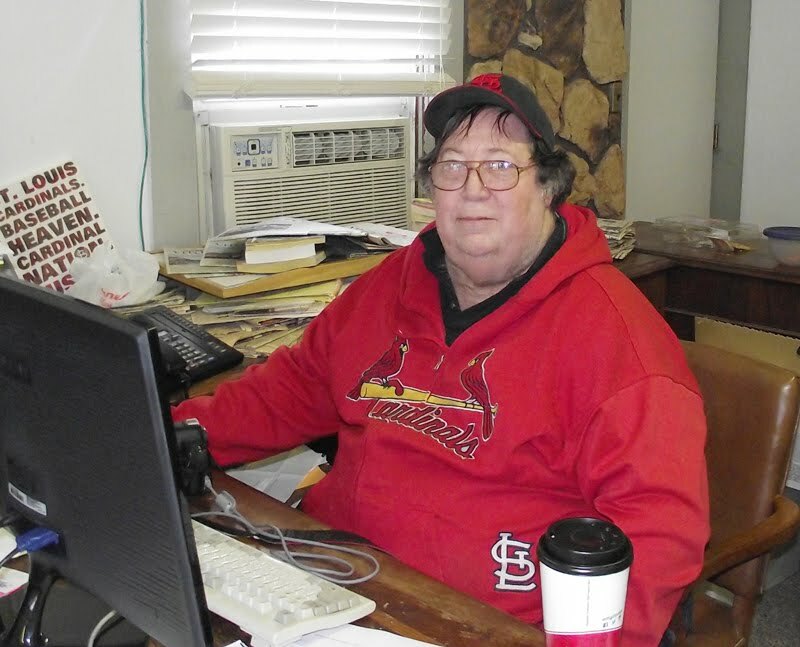 This issue has obituaries for Phyllis Jean Blurton, Marijke Jones-Boels, Melvin Niehaus, and Joe M. Shepherd.